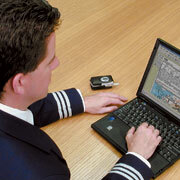 This course also provides an overview of various ICAO and local rules and regulations. Review the course schedule for a complete list of available worldwide open enrollment training classes. Note: This chart workshop can be tailored to address your airline's specific route structure and airports. To learn more, download the Charts and Navigation Workshop printer friendly document.